In a heavy saucepan, combine chocolate, sugar, butter and half and half. 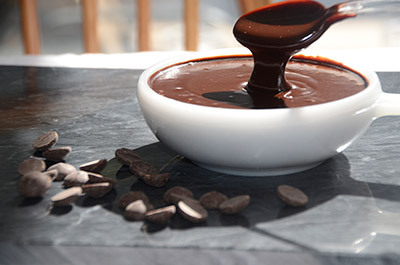 Stir the mixture continuously over medium heat until the chocolate and butter have melted and the sugar is dissolved. When the sauce comes to a slow boil, lower the heat and continue to gently cook for 10 minutes longer stirring continously as the mixture thickens. Remove pan from heat and stir in the vanilla extract.